Hello Gudetama @ Plan Check Kitchen and Bar! Just last week as I was out in LA, I saw a bright yellow ad! What could that ad be, I thought to myself? 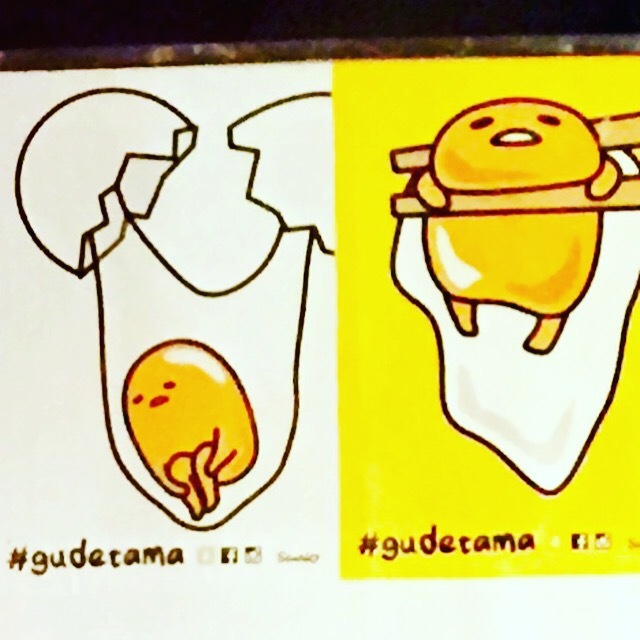 Upon closer look, it was to much delight that I discovered it was an ad for Gudetama! Gudetama, is Sanrio’s cute lazy egg character! I should have known that sighting of the lazy egg that night was a sign of egg-cellent things to come…..
Perhaps seeing that ad hat night was indeed a sign because sure enough, there is some egg-cllent and egg-citing things coming to LA! Last Fall Plan Check Kitchen + Bar was one of the restaurants part of Hello Kitty Hungry Hunt. This year Plan Check is once again partnering with Sanrio to bring LA’s Hello Kitty foodies something to smile about. Plan Check and Sanrio have come together for a special promotion featuring Gudetama, the lazy egg. 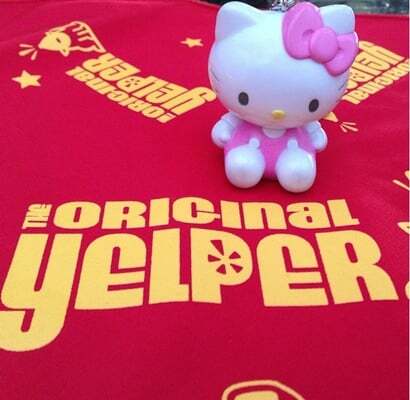 During the Hello Kitty Hungry Hunt, Plan Check Kitchen + Bar offered a Hello Kitty bento box. This year for their Gudetama special, they are offering once again one yummy and cute meal! Inspired by the lazy egg, Executive Chef Ernesto Uchimura has come up with menu featuring a variety of egg dishes. It will be multi-course menu. First course includes a crispy blanket egg, soy sauce egg, spicy pork belly sausage and miso aioli. This will than followed by Gudetama sliders; two beef sliders that will be topped with a sunny fried quail egg, cheese, bacon, ketchup and hot sauce. Last but definitely not least are some sweet treats consisting of a chocolate custard pudding, an apricot thumbprint cookie and an orange-ginger egg cream soda. Not only will Hello Kitty Foodies get to eat a egg-licious meal, they will also get a sweet treat with their meal. The meal will come with a limited edition Gudetama t-shirt. Some lucky foodies, may even get a surprise during their visit! 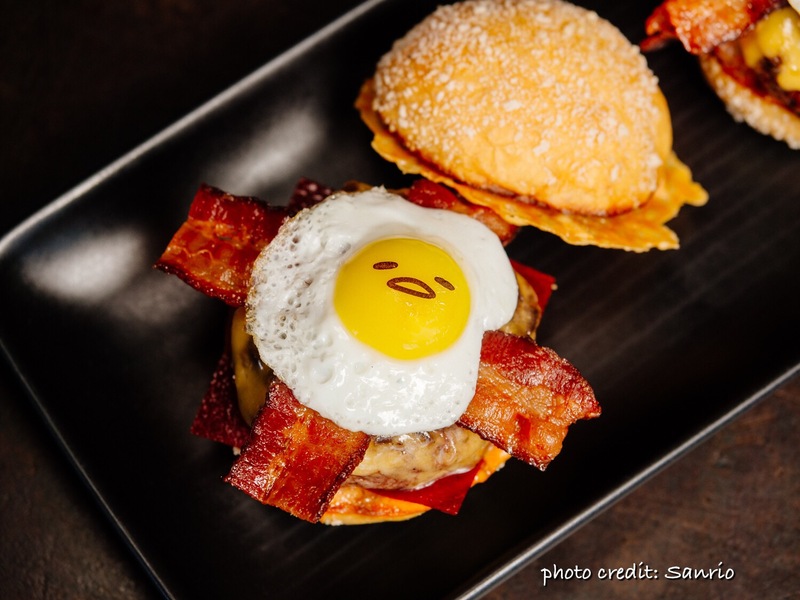 Gudetama will be making special restaurant appearances throughout the month. The multi-course Gudetama x Plan Check menu will be available for $39. 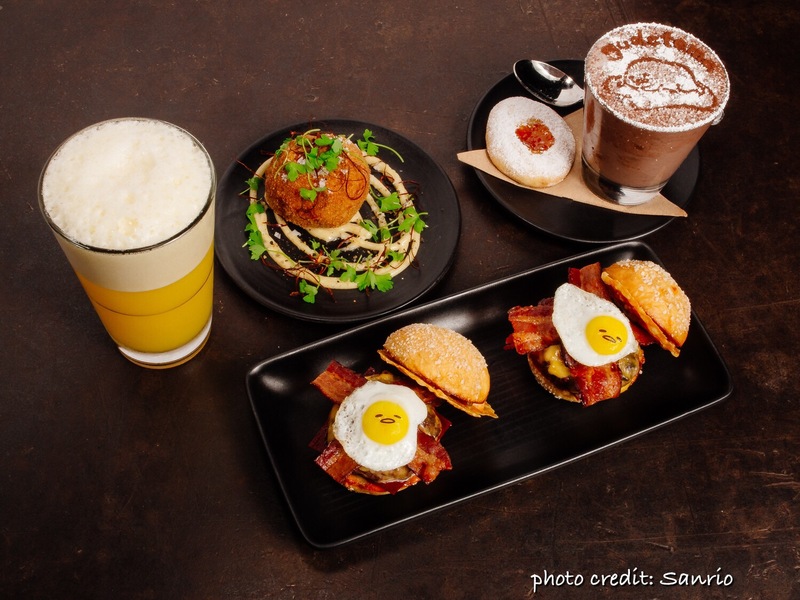 This special will start October 30 and run through November 29th, Gudetama will take over all three locations of Plan Check Kitchen + Bar in the Fairfax, Sawtelle, and Downtown neighborhoods of Los Angeles. Hello Nordstrom Del Amo E-bar! Hello Peet’s Coffee @ The Point!